Lifestyle: Summer In Germany. And What It Means To Me. It is the middle of summer and I keep seeing fashion bloggers posting autumn outfits over on Twitter. No, no, no! That is sooo wrong. I know the UK tends to be rainy and colder than central Europe but I will not accept autumn fashion posts in summer. It is July and some of my British friends even told me the other day, that they’ve lit their fireplaces! Unbelievable when you're boiling in 35 degrees! Time for me to get involved and to hopefully warm up everyone with today’s post and bring back summer (virtually). 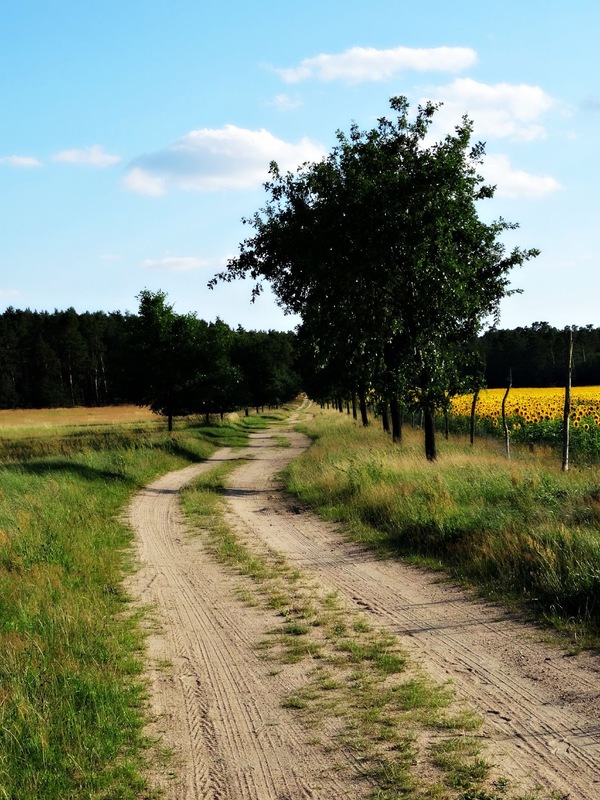 My parents' house in Germany is located in the south of Berlin, Lusatia, which is one of the driest regions of the country. I’m used to long and hot summers with degrees of up to 37. The evenings are long, there are barbecues nearly every day and to cool you down you cycle to the nearby swimming pool, beach or lake. Usually, all I wear is my natural tan, some shorts or light blouse and my bikini - even if I pop quickly into town. The air is far too hot to wear anything heavy or thick, so light summer clothing it is. A permanent ice cream in my hand is also a part of the picture. Summer starts in Germany at the end of April. The last week is usually really warm and sunny. Throughout May, the weather stays dry and warm. June can be a mixture of dull but humid weather and July and August are scorching hot. There’s no need really to book a holiday to Spain during these months. There’s nothing more relaxing and enjoyable when you feel the warm wind on your skin, listen to the soft whisper of wheat fields when a summer breeze rushes through and the hot sunshine. I tell you, this is something I’ve been missing for the last two years living in the UK. A proper summer with the certainty the sun will come back the next day for the following six weeks in a row. 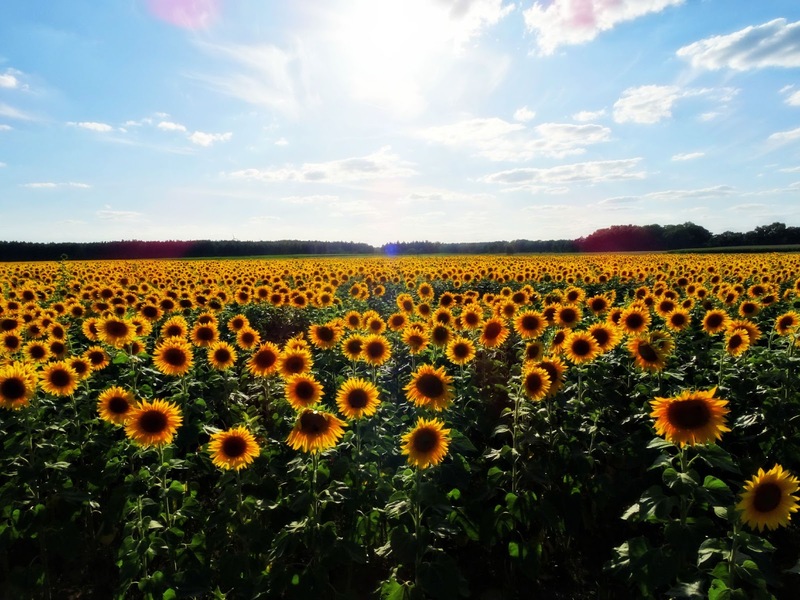 For nearly two years I haven’t seen any sunflowers either. As they belong to my summer cliche, I packed my camera and iPhone into my car the other day. It was another lovely warm evening. I took my CD with my summer hits* and drove off for a little photography safari (Yes I’m the kind of person who puts the window down, has loud music on and occasionally sticks one arm out just for the sake of it and to feel alive). 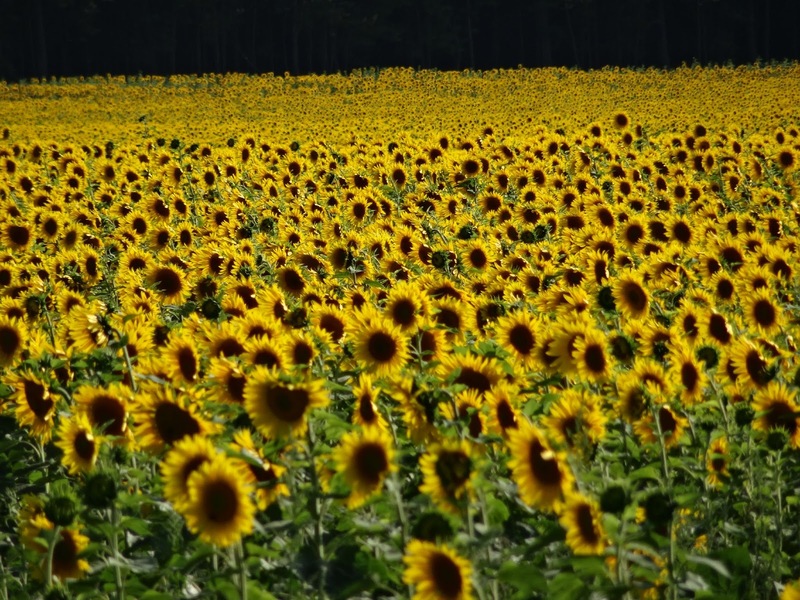 Sunflowers are an agricultural crop in my region so there are entire fields of the yellow plant spread across the region. 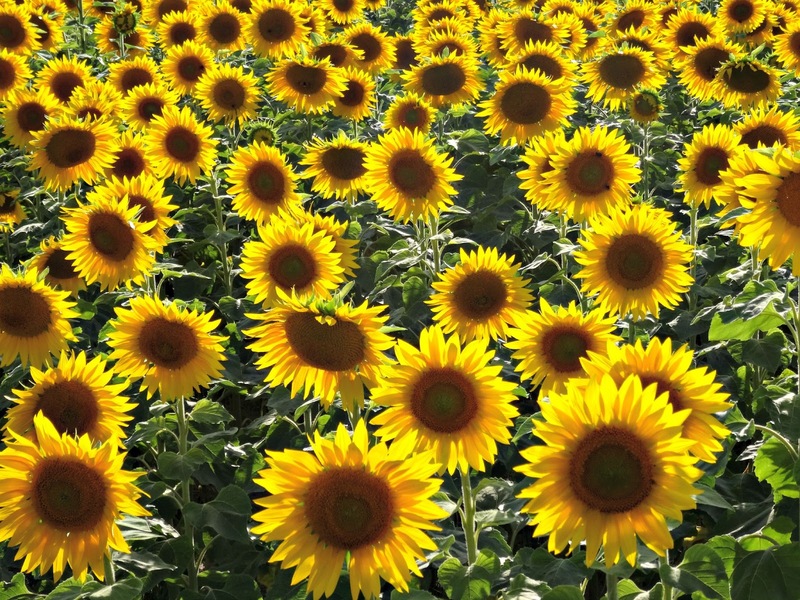 The sight of a blossoming sunflower field is an indescribable experience so I first stopped outside our village where there are usually hundreds of them. The field looked rather dreadful with some flowers having hanging heads and they were not closely planted. 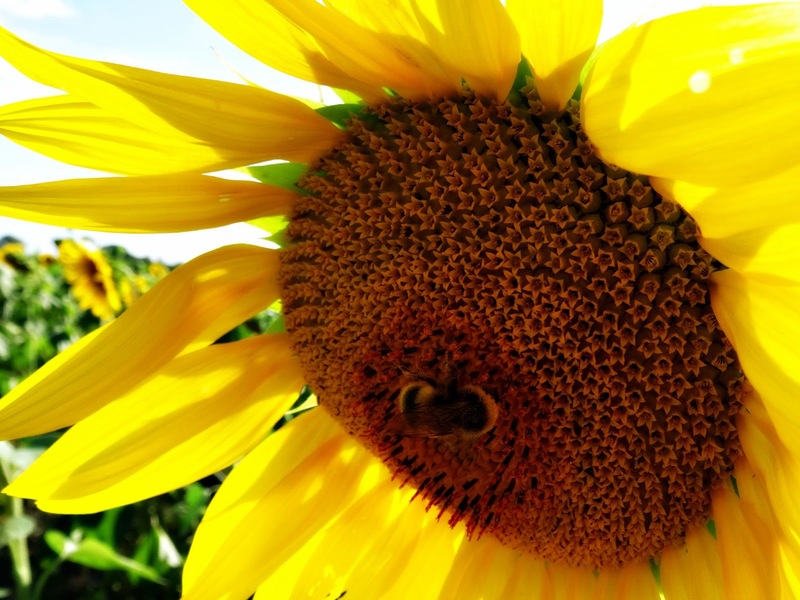 It was hard to find a sunflower that looked fresh. I spent a while taking pictures and when I realised this was getting nowhere, I moved on. After a fifteen minute drive around our countryside, I saw a bright yellow spot in the distance and knew I had to go there. Cause your beauty burns through the darkness, crystal and clear, from here to eternity. It was exactly what I was looking for. 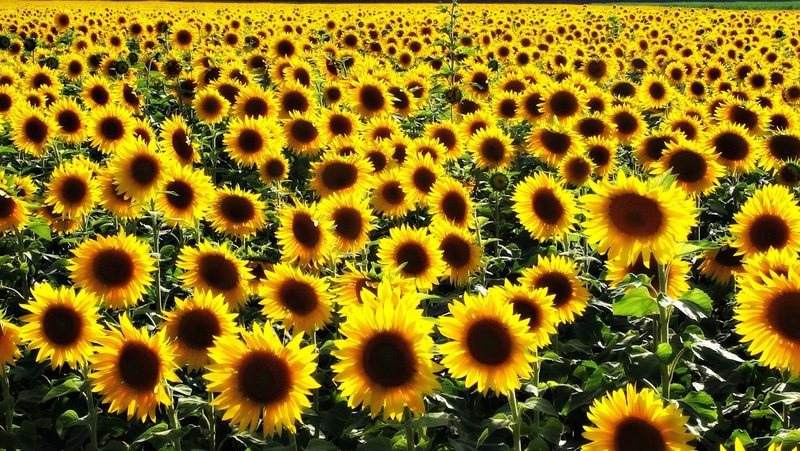 A wonderful field of strong and fresh sunflowers. 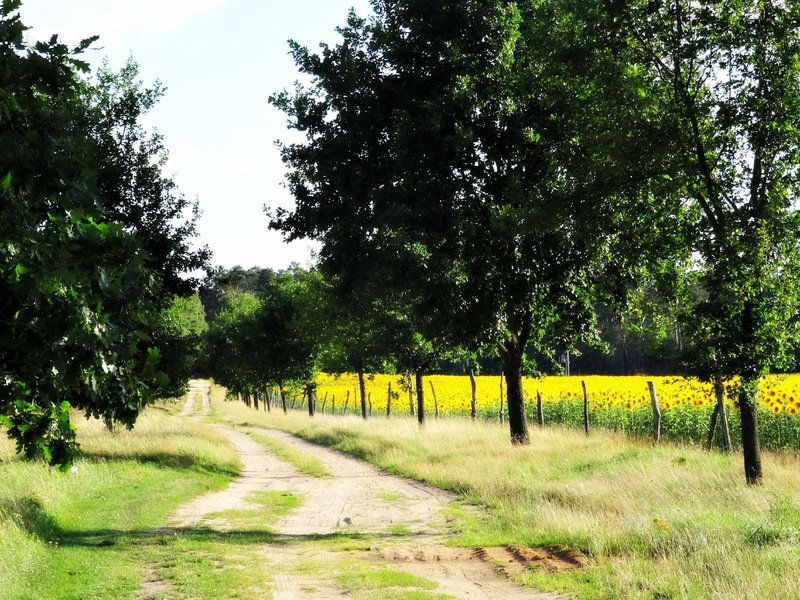 It was away from the main road and I had to go along a bumpy field road but there it was in its glory! The evening was fantastic. Still very warm, so peaceful and very quiet. All you could hear was the sound of nature - buzzing bees, chirping crickets, summer breezes rushing softly through the fields. 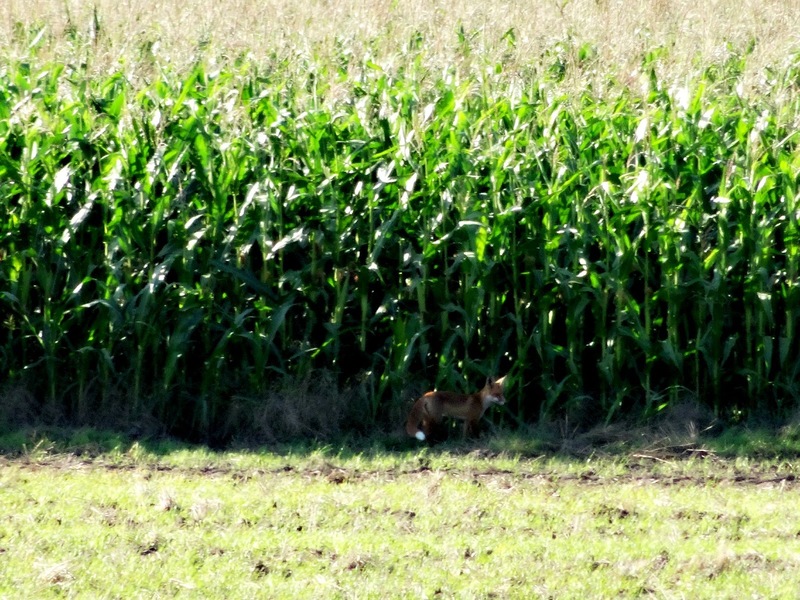 I enjoyed the atmosphere a lot and even spotted a little fox shortly before he vanished into the sweetcorn field. 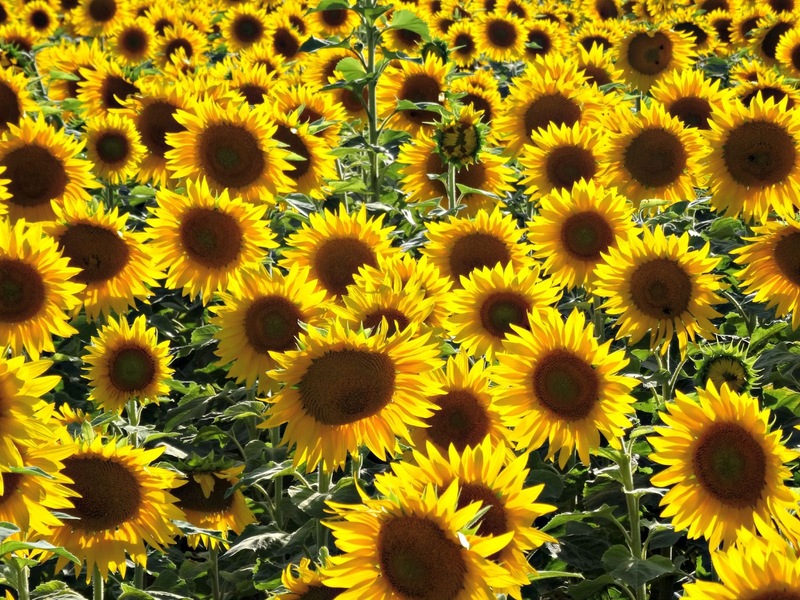 I’m not a flower girl as I feel flowers are pointless and make a lot of work, but it is different with sunflowers. 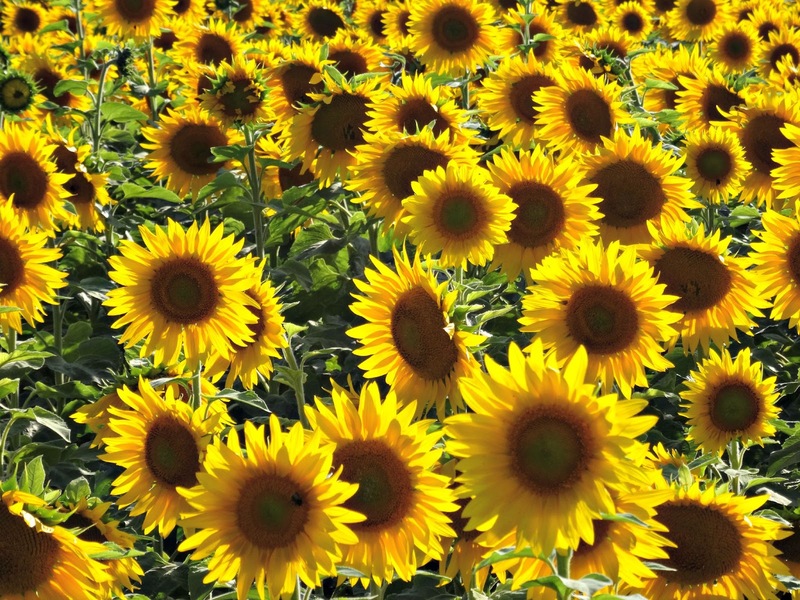 Though they are a crop planted with a purpose, their bright colours spread an instant happiness and positive energies. 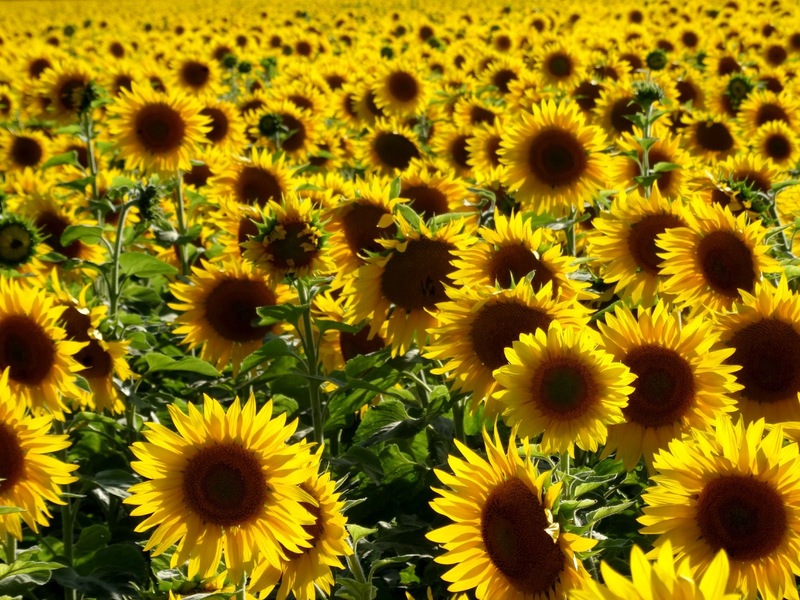 They look pretty, they give us healthy seeds to eat and oil for our cars. 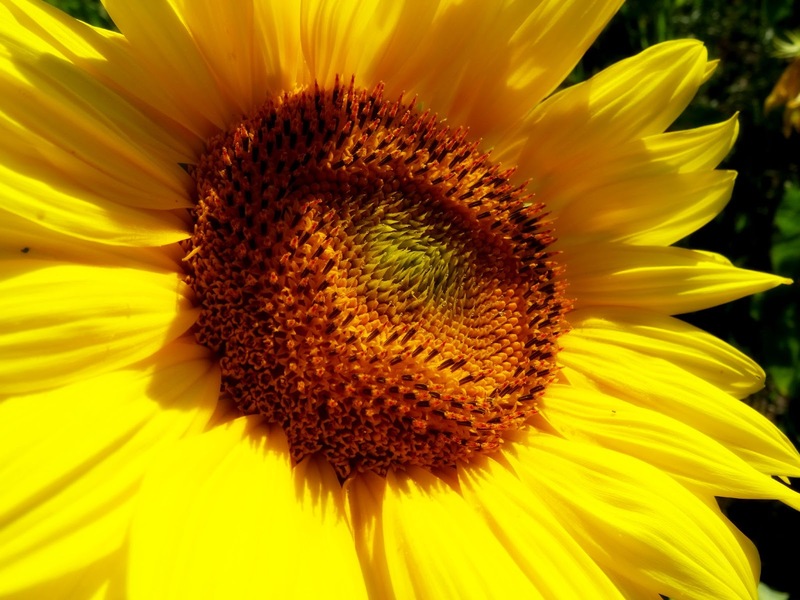 Sunflowers are the ultimate sign of summer and I love their simplicity and versatility. After a while, in the evening sunshine and a little run away from the boar (they came out of the field and I didn’t see them first! ), I drove home with some fantastic pictures which you have seen in this post. I hope I was able to bring some sunshine back on your screen and you’ve enjoyed reading today’s post. 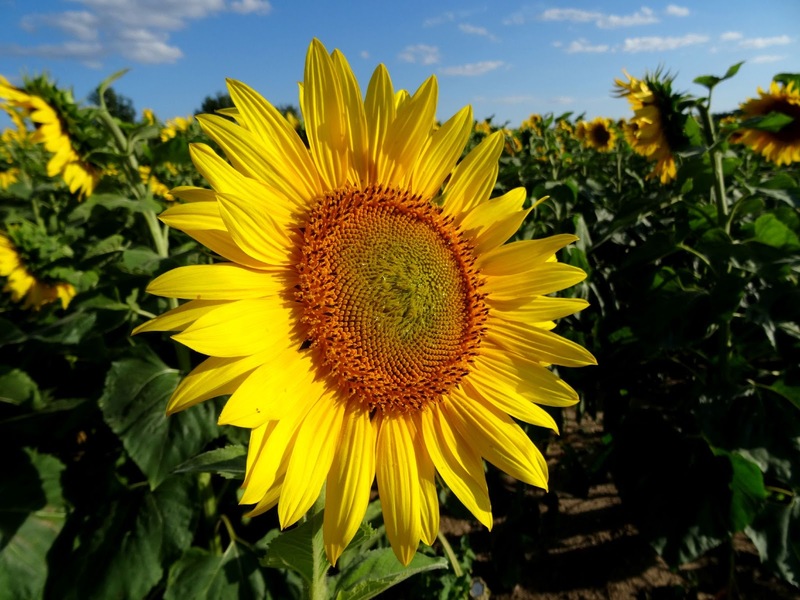 What does summer mean to you? * Just in case you wondered what I listen to in my car, my CD features e.g. DJ Sammy- Boys of Summer, Loona – Mamboleo, Edward Maya – Stereo Love, Oceana – Endless Summer, The Love Committee – Music Is The Key, Nalin & Kane – Beach Ball.